T minus seven days until one of the most anticipated movies of the summer: Crazy Rich Asians. Based on the hilarious best-selling book, the sure-to-be over-the-top movie has everyone talking right now. Last night, the cast celebrated the Los Angeles premiere of the film with a spectacularly stylish red carpet, and we can't stop staring at the outfits. 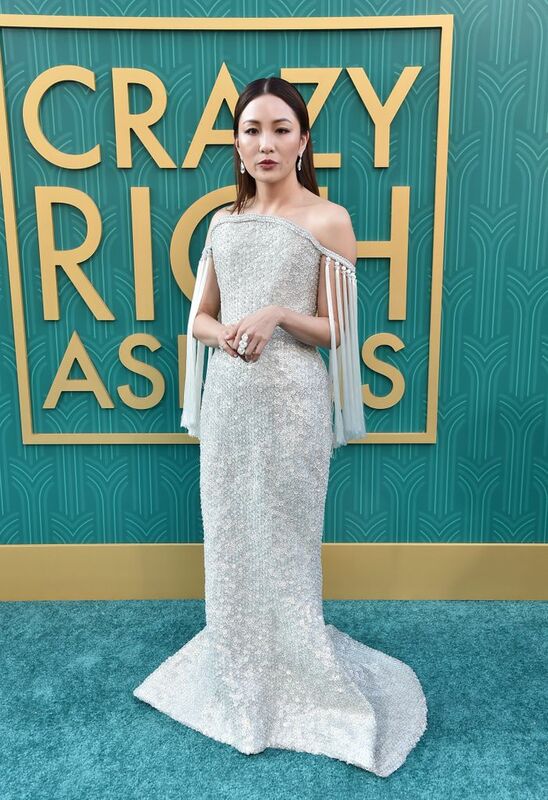 Stars Constance Wu, Michelle Yeoh, Gemma Chan, and Sonoya Mizuno were clearly on the same page, as they all chose metallic strapless gowns for the event. Wu sparkled in a silver Ralph & Russo version, while Chan stunned in a beautiful Oscar de la Renta iteration at the Johnnie Walker–sponsored premiere. Scroll down to see our favorite red carpet looks of the night.